The way that we produce energy needs to change. If we want to tackle global climate change head-on with sustainable energy solutions, then we need a fundamental shift in the way that we create, store, and distribute energy. Ultimately, this means a breadth of changes also occurring in our homes, which could prove challenging. As is often the case with new technologies, the disruption they cause to people’s lives creates pushback that slows their diffusion into general use; people aren’t predisposed to compromise on comfort or convenience. That’s where efforts such as the Nottingham Trent Basin project come in – providing sustainable solutions that integrate seamlessly with people’s existing routines. 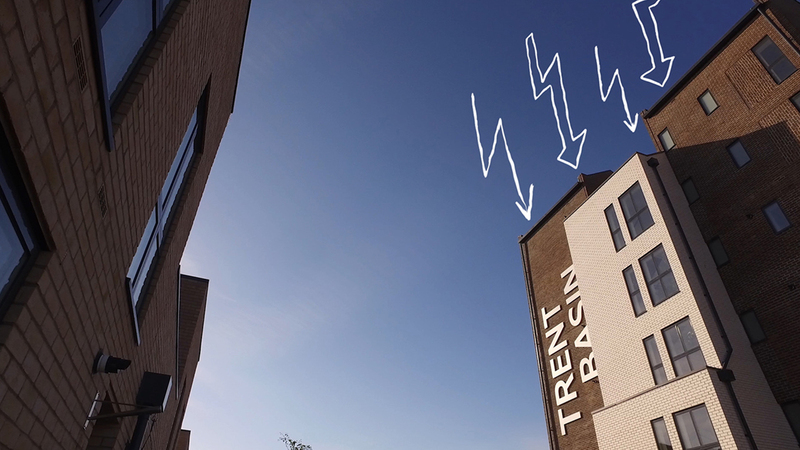 The Nottingham Trent Basin project, for example, aims to transform electricity generation in homes by producing it communally. 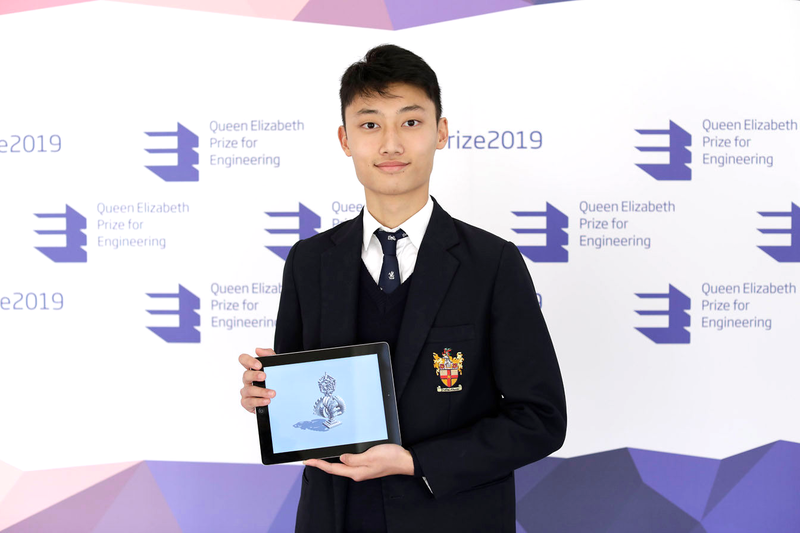 Today, the Queen Elizabeth Prize for Engineering (QEPrize) announced 16-year-old Jack Jiang from Hong Kong as the winner of the 2019 Create the Trophy competition. 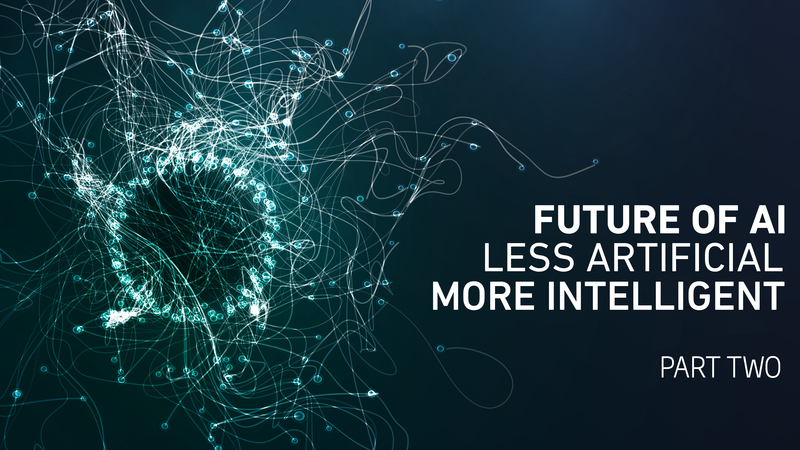 The competition, open to those aged between 14 and 24 around the world, seeks innovative trophy designs to be presented to the winners of the QEPrize. Jack’s intricate design impressed the judges with its complexity and balance, combining traditional trophy shapes with elements of modern wind turbines. The 2019 competition saw record engagement from over 50 countries worldwide, and a breadth of unique and innovative designs. The ten finalists were then selected for review by an expert panel of judges – designers and engineers led by Ian Blatchford, Director and Chief Executive of the Science Museum Group. Joining him on the panel were Roma Agrawal, a structural engineer at Aecom; Rebeca Ramos, a designer at Heatherwick Studio; and Zoe Laughlin, co-founder and Director of the Institute of Making. 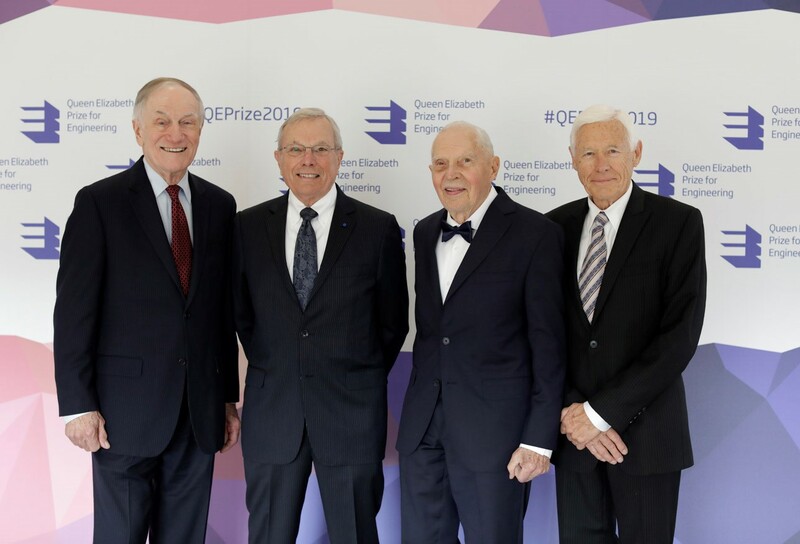 The 2019 Queen Elizabeth Prize for Engineering (QEPrize) is awarded to four engineers responsible for creating the first truly global, satellite-based positioning system – GPS. 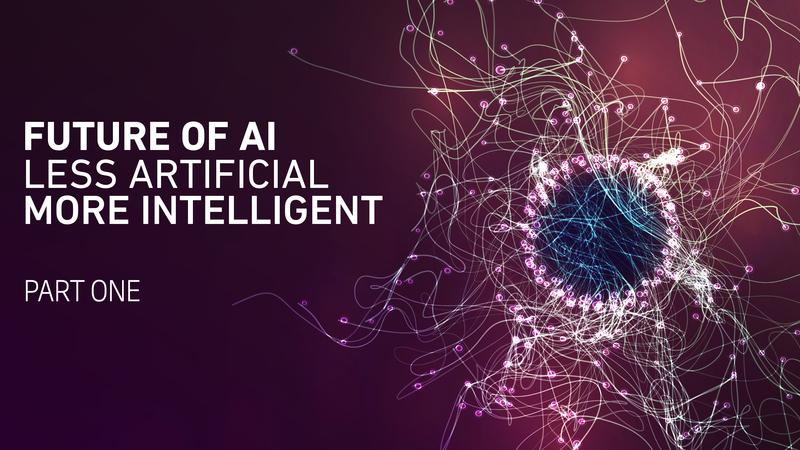 The QEPrize is the world’s most prestigious engineering accolade, a £1 million prize that celebrates the global impact of engineering innovation on humanity. The 2019 winners are Dr Bradford Parkinson, Professor James Spilker, Jr, Hugo Fruehauf, and Richard Schwartz – announced today by Lord Browne of Madingley, Chairman of the Queen Elizabeth Prize for Engineering Foundation, in the presence of HRH The Princess Royal in London. The global positioning system represents a pioneering innovation which, for the first time, enabled free, immediate access to accurate position and timing information around the world. Today, an estimated four billion people around the world use GPS, and its applications range from navigation and disaster relief through to climate monitoring systems, banking systems, and the foundation of tomorrow’s transport, agriculture, and industry. 2018 rapidly draws to a close and the 2019 QEPrize winner(s) will soon be announced on 12 February. Over the next year, we are eager to see the plethora of pioneering ideas and innovations that engineers produce to drive society forward. First, however, we wanted to take a moment to reflect on some of our favourite moments from the past year. We’ve seen innovative and exciting work underway across copious fields of engineering, learnt ways to improve diversity and inclusion (both in the sector and beyond), explored the possibilities of the future, and welcomed four new members to the QEPrize judging panel. After thousands of entries and record engagement from over 50 countries around the world, the 10 finalists for the 2019 Create the Trophy competition have now been decided. Our panel of judges, chaired by Ian Blatchford, Director of the Science Museum Group, and including Dr Zoe Laughlin, Director of the Institute of Making, Roma Agrawal, a structural engineer at Interserve, and Rebeca Ramos, a designer at Heatherwick Studio, will now assess the finalists and select the winning trophy. The top entry will be unveiled shortly on 12 February alongside the winner(s) of the 2019 Queen Elizabeth Prize for Engineering. We will then 3D-print the design into an iconic QEPrize trophy to be presented to the QEPrize winner(s) later in the year. 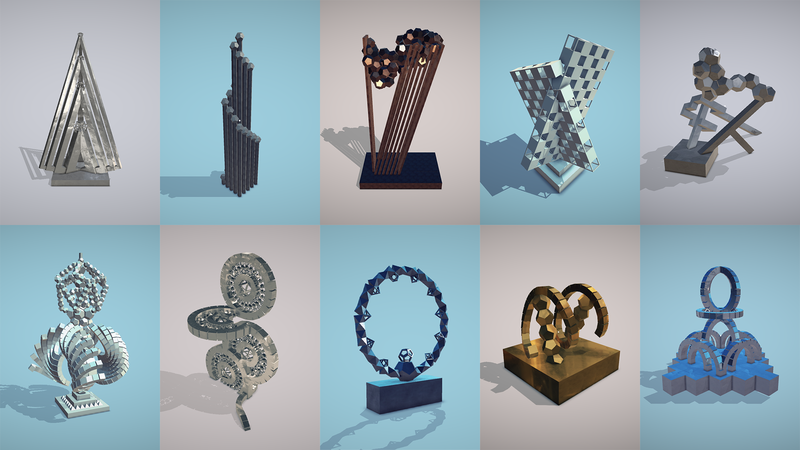 Given the unique scale at which the QEPrize winners impact society, the achievements should be recognised and celebrated with equally unique and innovate trophy designs. Submitting the top entries this year were Hannah Goldsmith from the UK; Clay Berg from the USA; Jack Jiang from Hong Kong; Enoo Rasmussen from Sweden; Rodosthenis Charalampous from Cyprus; Andrew Park from the USA; Elijah Haider from Germany; Harvey Williams from the UK; Jaco Botha from South Africa; and Khushi Patel from the USA.